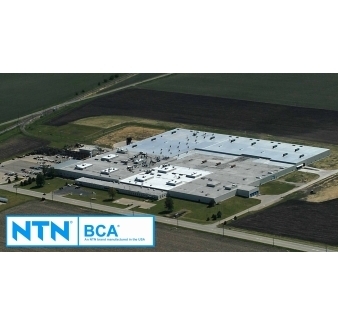 Mt Prospect, IL, March 14, 2013 – NTN Bearing Corporation of America is proud to reflect back on its fifty years of success in the United States, providing world-class products to a wide variety of industries. Incorporated on this day in 1963 by Shungi Iishino and “Lucky” Itoh, the Japanese-based company opened its first corporate office in Lincolnwood, IL. Now, fifty years later, NTN Bearing Corporation of America continues the tradition of supplying top quality products, services and support to America’s most prestigious companies. “It’s with a great sense of pride and humility that we look back to our roots. It was Mr. Iishino and Itoh’s ability to ‘Dream Big’ that laid the groundwork for what has become an industry-leading organization. That same ‘Dream Big’ vision still drives us today as we look forward to continuing our growth into the next fifty years,” states Pete Eich, NTN President and Executive Officer. NTN quickly outgrew its Lincolnwood headquarters as its initial employment of twenty people expanded. A new facility was purchased in October 1971 and corporate offices and warehouses were consolidated under one roof in Des Plaines, IL. NTN moved again in May 1991 to a four-story office building in Mt Prospect, IL while keeping the Des Plaines facility as a warehouse. Today, NTN employs over 4,000 people in the U.S. at its 10 manufacturing plants, 8 sales offices, 3 warehouses and one R&D center as U.S. sales approach $2 billion annually – a far cry from the initial 20-person operation in Lincolnwood. The company plans to celebrate its anniversary with several functions this year tailored to both customers and employees.